Why Carry Any Inventory? | Fulcrum ConsultingWorks Inc.
Rebecca explains the root cause of the need to carry inventory, and what to do about it. 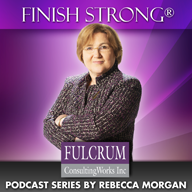 This entry was posted in Podcast Series: Finish Strong® and tagged inventory management by Becky. Bookmark the permalink.